Enjoy some beautiful black and white photography of one of the loveliest, most intelligent faces to grace the silver screen. Alida Valli mostly starred in Italian movies, but made a lasting mark with her roles in The Third Man, We The Living, The Paradine Case, and other English language movies. She stars in an upcoming Turner Classic Movies airing, Walk Softly Stranger, co-starring Joseph Cotten. (September 21) I've set my recorder! p.s. : the movie was great! Joseph Cotten and Alida Valli have the same hard-edged chemistry they have in The Third Man. In a time when it is considered chic to lionize murderers such as Che Guevera or Chairman Mao, it is heartening to see the groundswell of support for a movie that celebrates a bloodless revolution in the name of true freedom, the Singing Revolution of Estonia. Estonia, one of the Baltic States, has a long history of occupation by foreign dictators, including, in the 20th Century, the Nazis and the Soviets. 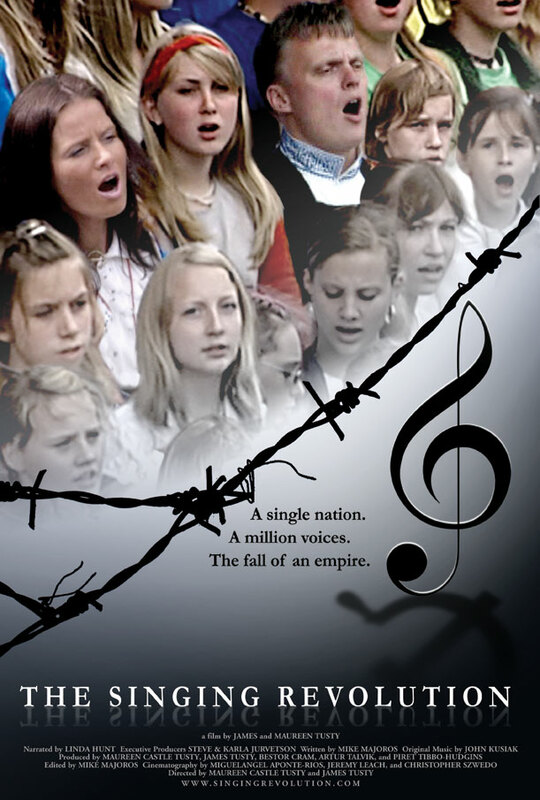 The movie, The Singing Revolution, recounts how music and singing, as well as the courage of scores of peace-loving people, helped bring about the eviction of the communist rule in Estonia. This movie has relied almost entirely on word-of-mouth and an internet campaign to raise awareness and to gain an audience. It ends a three-week run in San Diego tomorrow night. See it in a theater if you can, join the campaign to bring it to a theater near you, or buy the dvd when it comes out. In a world sometimes short of heroes, there are plenty in this thrilling documentary. Not mentioned in the film is how Mart Laar (part of the Singing Revolution), as prime minister from 1999-2002, enacted a flat tax and helped transform this small country into an economic tiger that is now consistently ranked as one of the freest and most prosperous countries in the world.